Nothing is better on Saturday mornings than waffles and berries. But can ladies with Prediabetes still eat waffles??? Of course! 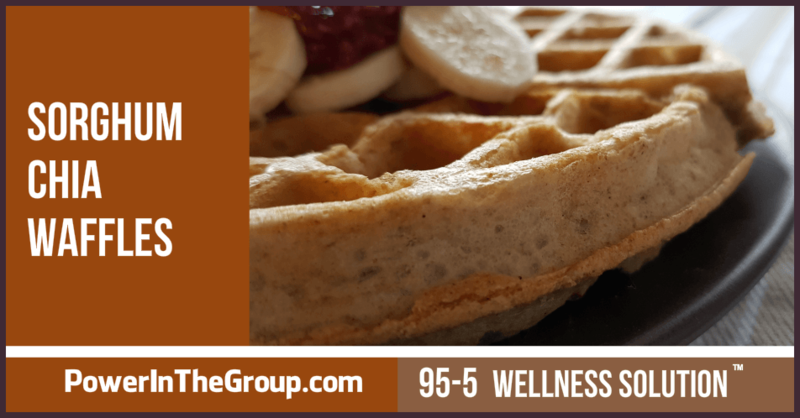 My Sorghum Chia Waffle Recipe is packed with fibery chia and sorghum flour. Life is good is when you eat foods high in fiber – no blood sugar problems either! Prediabetes And Sugar: Is Sugar Ok to Eat? Our Purpose is to guide and support women to regain and nourish their health without all the confusion...so they enjoy the richest quality of life for themselves, with their families, and in our society. Our Mission is to help 100,000 women reverse their Prediabetes or Insulin Resistance through new lifestyle habits they can easily continue for life.